To fully appreciate this style, you must touch and feel it because words and pictures cannot come close to describing the unmatched softness of our new Special Blend fabric. One touch and you will be hooked! 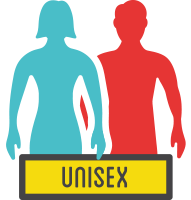 Unisex fit and unique colors make this an excellent choice for everyone. Our new Special Blend leads the pack with a softer hand, unisex fit, beautiful selection of colors, and the premium quality for which Independent is known.